Are marble worktops/features easy to maintain? 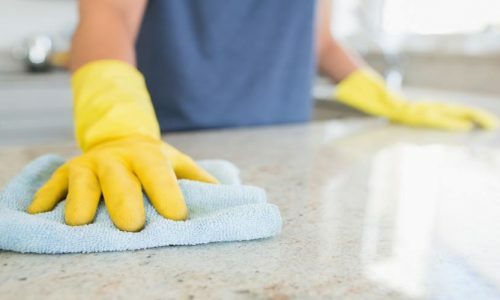 Surprisingly little effort is required to keep your marble kitchen worktops, floor, staircase or other features can be kept at their best for years or decades. 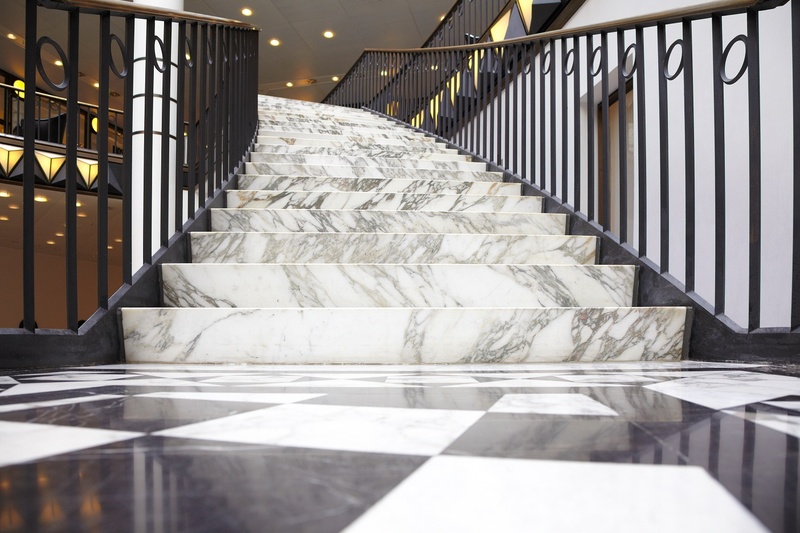 Marble can withstand heavy use and still look great – just ask the team at the 87 year old Empire State Building or the 295 year-old Blenheim Palace where marble floors are used by thousands of visitors every day. I’ve heard marble is delicate – is that true? Yes and no. Marble is a delicate stone but it’s still a stone. This means that unlike wood, vinyl or laminate, marble kitchen worktops can withstand heat, water, steam and take more knocks and bumps than non-stone materials. Modern marble kitchen worktops, tiles and floors are typically sealed which protects them from staining. So while we don’t recommend dropping a bottle of red wine on your worktop (what a waste!) it’ll probably be fine if you do. Is marble easy to care for? Yes indeed! In most cases, all you need to do is wipe your marble kitchen worktop down with a sponge and water. You can use a light cleaner such as washing up liquid on more stubborn spots. Once sealed, marble is smooth and non-porous which means that there’s nowhere for germs, dirt and bits of food to hide – they’ll all be wiped away. What kind of cleaners should I use? Use only gentle cleaners. Marble is formed of calcium carbonate which reacts with acids, including food acids such as vinegar or lemon juice. The sealant will protect the marble from everyday spills and use, but it’s best to avoid acid-based cleaners, even home made ones, particularly if you’re applying a paste and leaving it to soak in. Strong cleaners such as bleach can also damage marble, so the rule of thumb is to use simple, gentle cleaners – these tend to be better for you and the planet as well – or a specialised stone cleaner if the dirt build up is really extensive. Marble kitchen worktops and floors are typically finished with a high-gloss polish, and this mirror finish can be damaged more easily than the stone beneath. Just as a scratch on a mirror or smartphone screen is much more obvious than on a rough surface like a patio slab, a scratch or dull patch on your mirror finish marble worktop will be disproportionately obvious. For this reason it’s best to avoid things that could scratch the surface, such as furniture with metal feet or chopping directly on a marble kitchen worktop (this will also ruin your knife). Avoid cleaning with abrasive tools such as scourers and steel wool. Harsh cleaning products, acids or bases (such as vinegar or bleach) should also be avoided. Dropping heavy objects can also crack, chip or break marble, but normal use should not. How do I repair damaged marble? Depending on the extent of the damage, you may need a specialist repair service or to replace part of your floor or worktop. At Surrey Marble and Granite we offer a wide range of marbles, so we may be able to assist with repair work or stone matching. Contact us for an individual assessment and quote.